The exhibition Niko Pirosmani – Wanderer between Worlds brings together almost thirty paintings by the Georgian artist (1862–1918) presenting a real and fantastical panorama, suffused with great calm, of an epoch in the midst of transition. Pirosmani’s imposing figures and motifs, with their powerful graphic quality, are wide-ranging: a train steaming through the countryside at night, a woman with a mug of beer, a monumental boar and, sometimes, animals such as a giraffe or lion from imagined lands. Rarely dated, his paintings on wax cloth are largely composed in black and white, enlivened by the presence of blue or white. Uniting works by these two artists for the first time in the same place, Niko Pirosmani – Wanderer between Worlds is thus no ordinary exhibition. 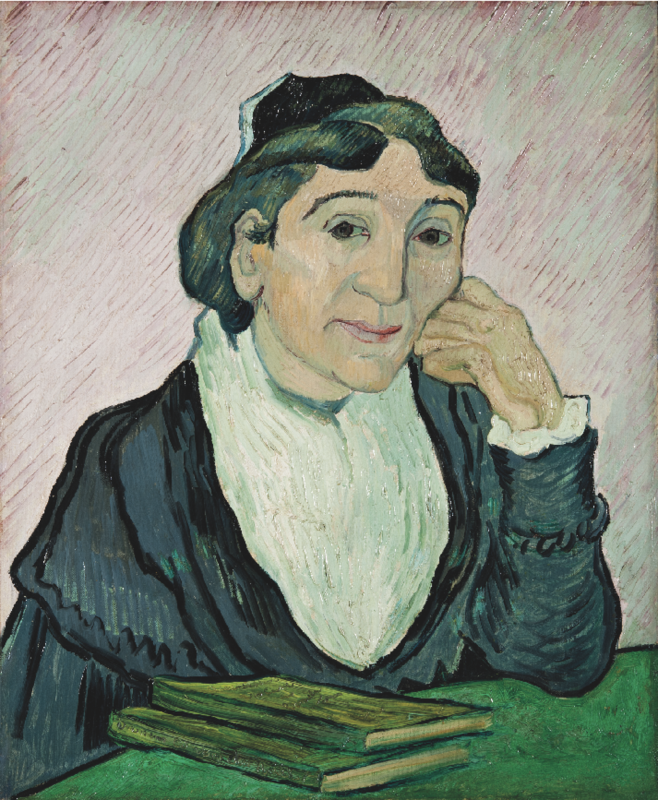 The Georgian painter is namely presented at the Fondation alongside six canvases by Vincent van Gogh, grouped under the title Vincent van Gogh: Speed & Aplomb. Produced between 1884 (the Dutch period) and 1889 (the Provençal period), Van Gogh’s paintings, too, convey a sense of speed and attest to a humble look at the people and the things surrounding the Dutch artist. Pirosmani’s influence on the art and vision of his contemporaries is clear. His œuvre was caught up in the ferment of emulation propelling the various Russian and Parisian avant-gardes of the era. Alert to artists whose work – seen as “authentic” – signalled a rejection of academic conformism, the Russian avant-garde awarded generous space to Pirosmani at the exhibition The Target held in 1913 in Moscow. Pablo Picasso’s 1972 drypoint etching Portrait of Niko Pirosmani, presented in the Arles exhibition, speaks of the impact of the Georgian’s work on French modernist avant-garde circles. The legacy that Pirosmani has bequeathed to the art of our own day also deserves a closer look. Among homages by contemporary artists on the second floor, the exhibition at the Fondation includes a new piece by Tadao Andō: a monumental monolithic table incorporating blue roses – in the words of the Japanese architect, “a metaphorical tomb in memory of this artist”. Pirosmani’s influence continues to make itself felt in new ways through the works of artists such as Raphaela Vogel and Christina Forrer. Historical events have kept Pirosmani’s work away from France for many decades. It is high time that his paintings are made accessible to the general public. Adrian Barsan, Infinitart Foundation Vienna, project initiator, the Georgian National Museum and its director general David Lordkipanidze, the Ministry of Education, Science, Culture and Sport of Georgia and the Albertina Museum Vienna. Video : Thomas Harnett O´Meara, director — Infinitart Foundation Vienna, producer — Dato Evgenidze and Dimitrios Ntonis, music. The Georgian painter Niko Pirosmani (1862–1918) perceived art as a vast continent. He himself was an outsider, a wanderer, a man who consciously chose a nomadic lifestyle. From early on as an orphan, his life was marked by setbacks and by an inability to assimilate into the conventional social and cultural fabric, leading him, from 1900 onwards, to rely solely on his talents as a painter to earn a living. Only one tenth of his total output has survived. He died a few days before Georgia’s first, short-lived period of independence and was buried in an unknown location. His artistic legacy is incontestable. Pirosmani was finally recognised late in his lifetime as one of the great Georgian artists of his day, thanks to Mikhail Le Dentu, who first discovered his paintings in 1912 in a cabaret and several Tbilisi taverns, and the brothers Ilia and Kirill Zdanevich. 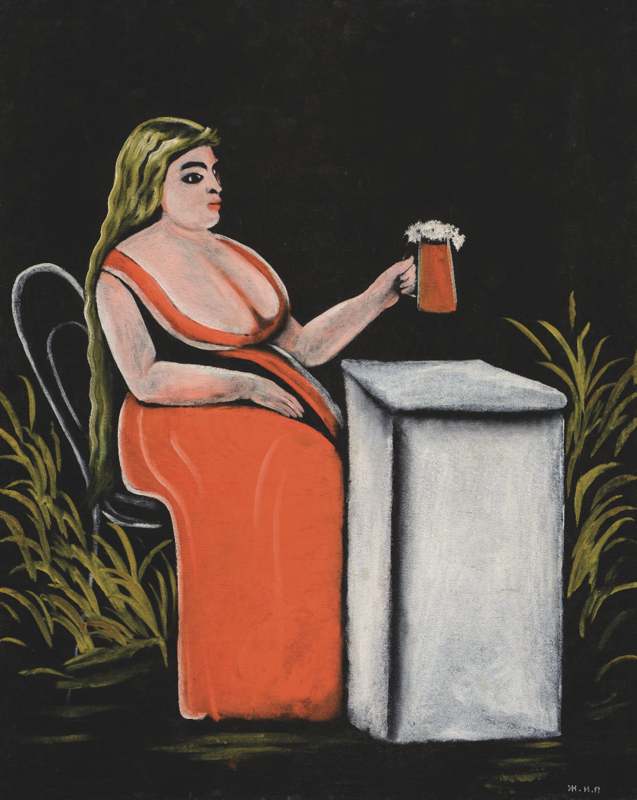 Works by Pirosmani, including Woman with a Mug of Beer, were presented in 1913 in Moscow at the Target exhibition organised by the group The Donkey’s Tail, alongside those of Natalia Goncharova, Mikhail Larionov and Kazimir Malevich. In 1914 a plan to mount an exhibition of Pirosmani paintings, backed primarily by Ilia Zdanevich, had to be abandoned because of the war. Admired by the Georgian artists of his time, Pirosmani became a true national symbol – an accolade marked in 1929 by the presentation of one hundred of his paintings at Georgia’s national museum. It was only from the late 1960s, however, that his works began to be shown internationally, notably in 1969 at the Musée des Arts Décoratifs in Paris. In 1999 the Musée des Beaux-Arts de Nantes staged a major retrospective, which was accompanied by an in-depth catalogue. In 1995 Bice Curiger organised the exhibition Signs and Wonders at the Kunsthaus Zürich, in which thirty paintings by Niko Pirosmani appeared alongside works by living artists.